80 Days. This game has been blowing people away in many parts of the gaming world, and for good reason. (You all saw how it topped Time Magazine’s Game of the Year list, right?) It trades on classic interactive fiction strengths — strong writing, fantastic settings that no one could afford to fully illustrate, a tight loop of input and story content so that you’re constantly involved in what’s going on — and it combines all that with a beautiful interface and a very clever use of multiplayer information. It’s accessible and very more-ish to play, and yet some of the story segments go to surprising places. As of mid-December, there’s a new Arctic route, too, so if you have the game and haven’t checked it out for a while, I recommend revisiting. Hadean Lands. Classic old-school text adventure greatness with clean prose and some beautiful new design features. It’s humungous, but fortunately there are active hint threads on the intfiction forum, and if you must, a walkthrough by David Welbourn. The Uncle Who Works for Nintendo. Effective Twine horror from the author of My Father’s Long, Long Legs. This did so well that it first brought Lutz’s website down, then cost him an arm and a leg in Amazon hosting fees (which people later helped him recover), happily. Coming Out Simulator 2014: both well-told choice-based stories of difficult situations in the lives of queer people. Painful but tentatively hopeful. Also getting a healthy amount of respect in various indie circles. Invisible Parties. Much tidied up since its Shufflecomp incarnation, Invisible Parties is a parser-based puzzle game about diverse cultures and true love, and especially about appreciating another person for their particular qualities. It features lovely writing and some of the most imaginative settings of the year. Creatures Such as We. A dating simulator that is also a meditation on the nature of games and the relationship we have with the works that we play. With Those We Love Alive. A dark, characteristically Porpentine-esque piece that makes powerful intimate use of having the player draw on their own body, inviting creative and personal responses from players. Venus Meets Venus: Rawly and unforgettably honest. It’s minimally interactive, though, I think, to good effect — I disagree that it would be the same thing if done as a short story — but it has really stuck with me. Lime Ergot. A very short parser-based puzzle game that makes maximal use of telescopic examination: you look at something and it proves to have parts that you can examine, and then you can imagine parts of those… it’s like that XKCD cartoon where you can keep zooming in forever, except a) in text and b) containing no product placement. Krypteia. Excellent use of classical material to back up a story of late adolescence, gender identity, and monsterism. 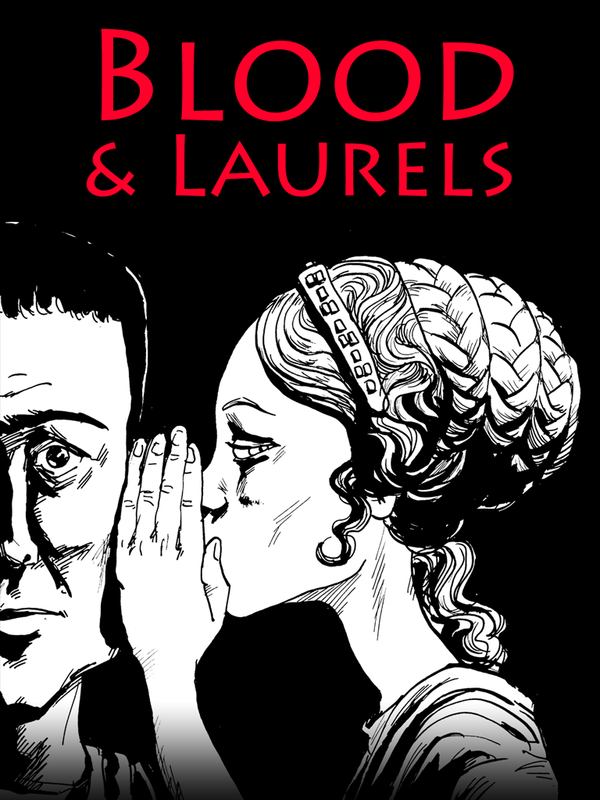 Blood & Laurels — Treason and spying and cults in an alternate version of Ancient Rome. This is the biggest piece so far to come out of the Versu project, and I’m very glad that we were able to get it out into the world, after various points where it seemed like that wasn’t going to be possible. My keynote at ICIDS was in part about what we learned from the creation process and the feedback we got from reviews and player responses. One of the major points of that post-mortem concerned signaling the ramifications of scenes. Some reviewers did not understand the role of particular characters, or didn’t fully perceive the consequences of putting characters in a particular state: perhaps they’d actually narrowly avoided having a character betray them, but didn’t appreciate that fact because they weren’t alerted to the ways a scene could end. The perceived consequence wasn’t always as strong as I wanted it to be. So it might be interesting to have a system in which it’s actually more explicit that a scene can end in one of several ways depending on NPC mood and emotion, and give the player a sense of which outcome is currently most likely. I’d want to put this at the UI rather than the writing level, for clarity and ease of reference. Something to experiment with in the future. Sunless Sea and Fallen London — Several stories of mine have appeared in the Fallen London universe this year. For Fallen London, that meant filling in some character backstory for the Wry Functionary, always one of my favorite in-world acquaintances. 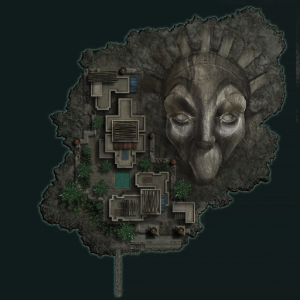 For Sunless Sea, it meant creating self-contained stories for the player to encounter on the islands of Station III and Visage. These were allowed to be their own small stand-alone pieces with their own flavor, while drawing on the background mythos of the Fallen London world, so creating them felt a bit like participating in a particularly grand shared-world anthology. 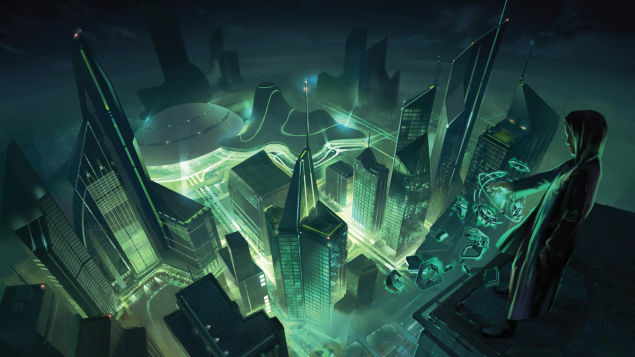 The gorgeous art for these locations is inspiring as well. I’ve written a bit about how the StoryNexus engine behind FL influences the kinds of things I write there, but the fictional setting is also a huge influence. Perhaps this is unique to me — I haven’t ever discussed this with other FL/SS writers, and perhaps they’d be surprised at the suggestion — but I find the Fallen London universe is a useful context for writing about pain. It’s an environment full of startling and fantastic forms of suffering, but that suffering always needs a seed of genuine emotion. When I want to talk about something distressing — say, the shadow of mortality over a happy marriage, or the ways that trauma trickles down to us from previous generations — without writing a confessional piece, Fallen London offers tools: dark humor, physical metaphor, an established symbolic vocabulary. Ultimate Quest — not counting a small auctioned charity piece, Ultimate Quest is the first commissioned parser game I’ve written since City of Secrets. Most of my freelance work doesn’t take that form. Ultimate Quest was part of an advertising campaign run by AKQA leading up to the release of the NVIDIA Shield tablet. The near-future, high-tech setting gave me a chance to include some concepts and themes I’d long wanted to get into a game, particularly around augmented reality and big data visualization; doing the project as part of a big media campaign also meant it got professional illustration and a glossy presentation that I’d never have been able to put together solo. The requirements writing this were different than they are for most hobbyist IF. We wanted to build something that would be genuinely challenging even if people were sharing information, and would feel like a full-sized, non-gimmick game, while not assuming that people were seasoned IF players. There were obviously other constraints on scheduling, content, tech and social media integration just because of the nature of the project. Often the combination of factors meant making design decisions that cut against the trad-IF norm, and exploring some different territory — which frustrated some core parser IF players, but also attracted some new non-parser folk. Probably the most stylistically productive constraint was the need to make all the output text fit in 140 characters or less. Sometimes this was maddening, especially when I was trying to cope with long inventory lists, but it inspired an absolutely cut-to-the-core writing style that forced me to pick the best, most vivid details I could think of. Because it required a Twitter tie-in and because it was being run as a timed contest, I was engaged with the player body in real time, determining when hints were needed and tweeting in-character from NPC accounts. There were a handful of players who actually carried on multi-tweet conversations with in-world characters this way, which was very fun to see. That was challenging, but it gave a performance aspect to the whole project. While the website still exists, I think the game is not quite the same for someone who isn’t playing as part of that context. The last two months or so, I’ve been posting a lot more than I usually do outside of competitions. This is not a fluke. In the wake of things said in the IF community at the beginning of IF Comp season, I decided to spend the end of 2014 doing more outreach — not outreach of the “here, play OUR stuff!” kind, but of the “we’re listening to you” kind. To recognize that there are gamebooks and book-form CYOA and interactive narrative apps of many kinds out there that we almost never talk about on the intfiction forum. To connect what is going on in the IF community to other indie and hobbyist communities, as well as the academic community via ICIDS, and to look at some of the procedural edge cases. To showcase just how much commercial IF work is happening right now. To give some coverage to artists who might not be getting enough attention. That agenda seemed important enough to be worth doing in lieu of any personal creative work in that time. I didn’t succeed as completely as I would have liked. It would have been nice to cover more from the visual novel community (though I was very glad to see Sam Ashwell’s review of Long Live the Queen). I would have liked to talk about Codename Cygnus and about Kentucky Route Zero. I’ve got about half a post on narrative chatbots written. I’ve spent some time with Patchwork Girl (an old piece, but newly available for Mac again from Eastgate), but not yet enough to write about it. Under other circumstances, I would have included some more Telltale work in the mix, too, but I’m currently contracting with them, so that would get too far into conflict-of-interest territory to do well, even with maximal disclaimers and disclosures. But if you’re interested in interactive stories, you should absolutely be tracking what they’re doing. So for those who were curious, Linden has now given me a definite no about selling me the codebase and IP. As recently announced, Linden Lab is no longer supporting Versu. What this means for me: I am no longer an employee of the Lab. At the moment I’m taking on some contract work. What this means for the project: I am currently trying to see whether I can get back the IP for Versu and the apps that we built that Linden did not release, including Blood and Laurels. If that succeeds, I’ll post more information here. Aside from wanting to see our hard work out there, I’m concerned that people who had started working with the Versu toolset in academic environments continue to be able to use that toolset and, ideally, have a way to publish their work for others to play with. I may not be able to make that happen, but it would mean a lot to me to be able to do so. Cults. Conspiracies. Poison. Stabbing. Blackmail. Seduction. Prophecies and rumors. Divine wrath — or possibly just bad weather. Death and glory in ancient Rome. Built on the Versu engine, coming soon to the iPad.